Got older kids who aren't big rainbow fans? 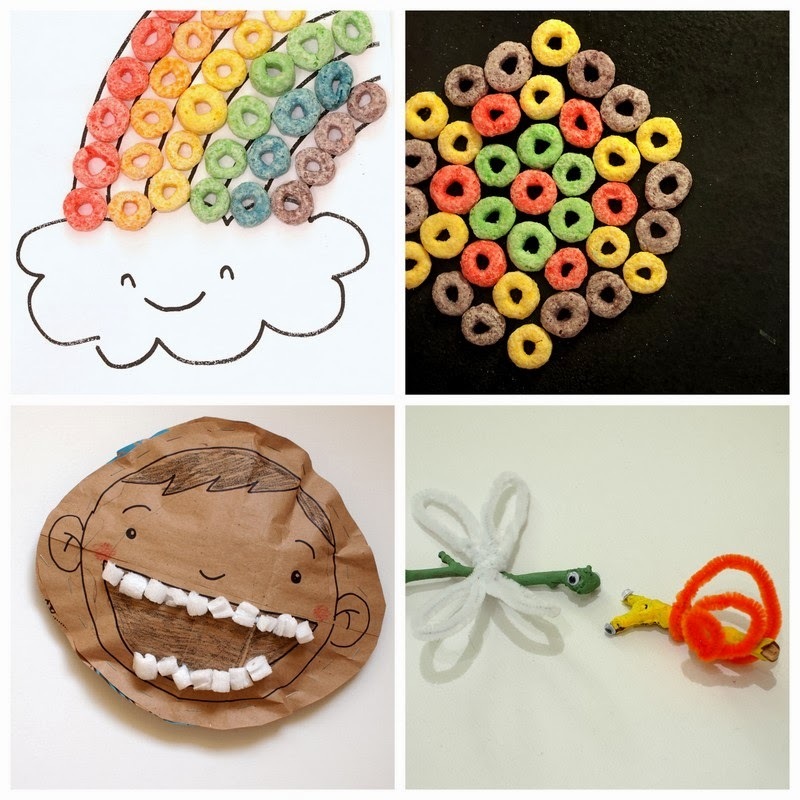 I think they would enjoy making different geometric patterns and designs with the fruit loops. I modeled this design after some Moroccan tiles I saw online. We have a bunch of packing peanuts lying around, so of course, we had to craft with them. I doodled Chuck's face onto a brown paper bag. Then, I cut out two same face shapes from a brown paper bag. Then, we colored in bits and stapled them almost all the way around to create a pocket. We stuffed our head with packing peanuts and then stapled it shut (creating a "paper pillow" of sorts.) Then, we had a ball gluing teeth into the mouth. Our resulting face "paper pillow" is hilarious and made us both laugh. Hooray! Most of our neighborhood snow melted and Chuck now enjoys picking up sticks (and trash.. ick) off the ground. We brought the sticks and twigs inside, painted them, glued on googly eyes, and added pipe cleaner details to create instant stick and twig bugs. Happy crafting and stay well, friends! Serious love and laughter for the "peanut pillows" TEETH LOL! Look forward to seein them on insta ;) (btw, its @j_nine_34 from ober there lol)! Hope he's feeling better... you guys have had a tough winter being stuck inside! I can't say it enough, but you're my favorite kid crafter! I love how you take everyday objects and make them useful.